Love is in the air, you've finally plucked up the courage to ask that special person out and you want to make your date in the West Midlands one to remember. Who knows, if it goes well, it could end being the romance of your life. Or maybe, you're a couple planning a date night to keep that fizz of excitement alive and kicking. Love is in the air but where do you go out in Birmingham? Well, whether it's a touch of animal magic or sitting under the stars, a date doesn't have to cost a fortune. Here's a Top 10 of the most romantic things to do and see around Birmingham and the West Midlands to help keep l'amour alive. There's nothing like cute animals to put a smile on the face and bring people together. 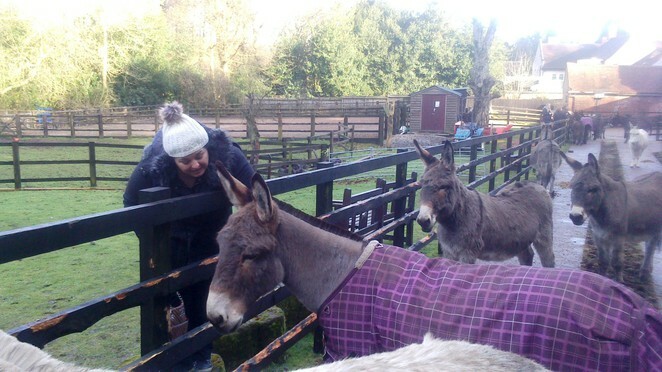 One of Birmingham's best kept secrets is The Donkey Sanctuary at Sutton Park, in Sutton Coldfield. It's free to go and visit the donkeys and you can even foster or adopt one of the adorable mules and keep up-to-date with his activities. Birmingham Donkey Assisted-Therapy Centre is a short walk from the Town Gate of Sutton Park and the staff are very welcoming. It's an open little haven in the corner of the park with a rough and ready feel, but that's part of its ambience as the donkeys seem perfectly content sashaying their way through the mud. Some are very tame too and love nothing more than a cuddle and stroke around the ears. How can you not give some love to this donkey at Birmingham Donkey Sanctuary? It's a good idea to phone ahead and check that the centre is open as usual, but it is normally open from 10am to 3pm. When it comes to art, Birmingham has a wealth of world-class treasures to inspire the faintest of hearts. 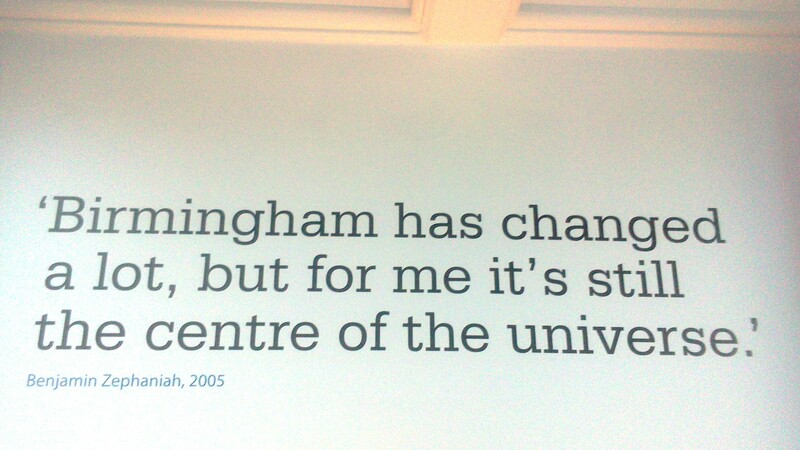 Birmingham Museums and Art Gallery has its main base in the heart of the city at Chamberlain Square, is free to visit and also has a lovely Edwardian Tea Room with delicious fair-priced cakes. Its permanent art collection has a good selection of Pre-Raphaelite paintings, which are part of the largest public Pre-Raphaelite collection in the world. 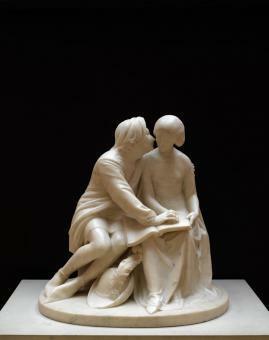 There are also works from the romantic movement to medieval times as well as modern day photos and video exhibitions. Alongside these are artefacts from the ancient world, from the age of Cleopatra to Nero; and the home of the famous medieval Staffordshire Hoard. 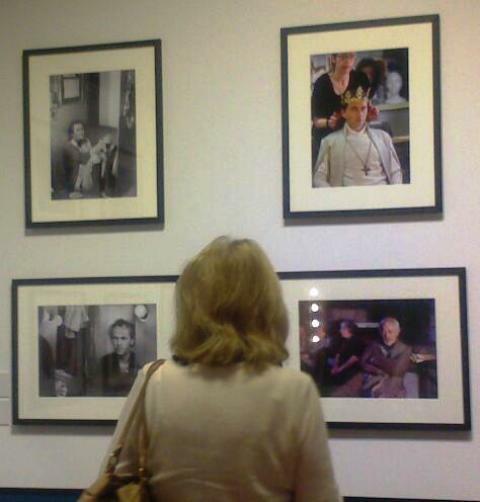 One of the other galleries that is fun to browse, especially if you are from the city, is the Birmingham History collections, which delves into the culture, people and traditions of the UK's second largest city. 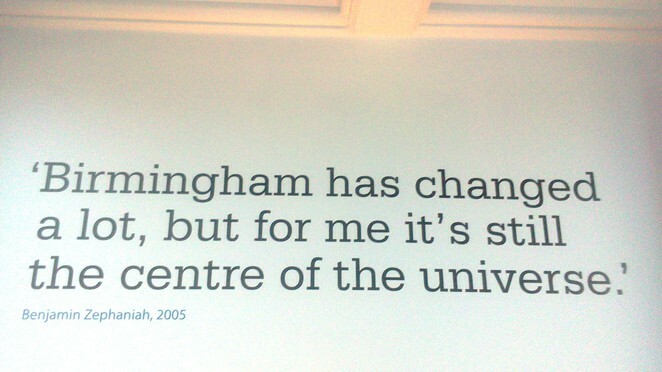 Among these are quotes from famous sons, like poet Benjamin Zephaniah, and details about historic moments - such as Charles Dickens making the first public reading of his novel, A Christmas Carol, in Birmingham Town Hall. Want a date with some sophistication? Then high tea is the treat for you. 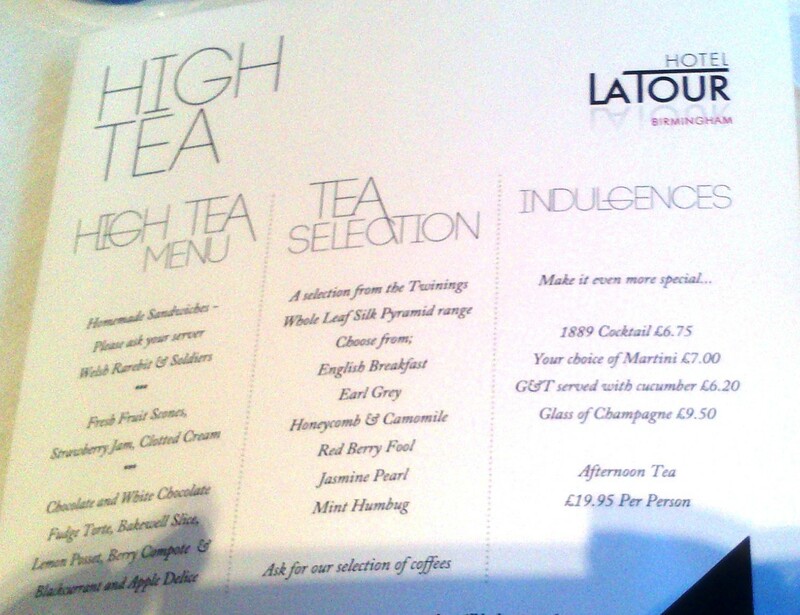 Hotel La Tour offers some of the most sumptuous afternoon tea sessions in its bar area. Tables are set with starched white tablecloths and guests are left to relax for several hours grazing on a three tiered tray of mouth-watering treats and pots of tea in the four-star hotel. There's also a pianist playing live music from Fridays to Sundays and an option to add a cocktail or champagne to the session. 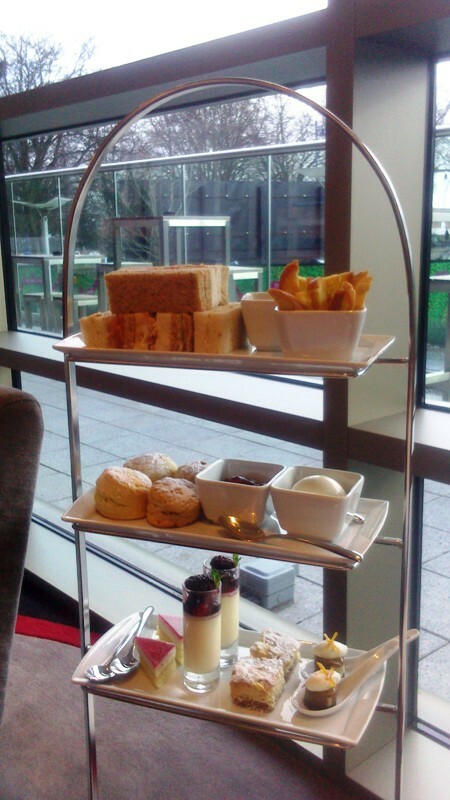 The afternoon tea costs £19.95 per person but it does make you feel very special. There are dainty little sandwiches, scones with jam and butter, and cakes. Pre-booking is recommended for afternoon tea, particularly at weekends and you can do this through the Hotel La Tour website booking form. 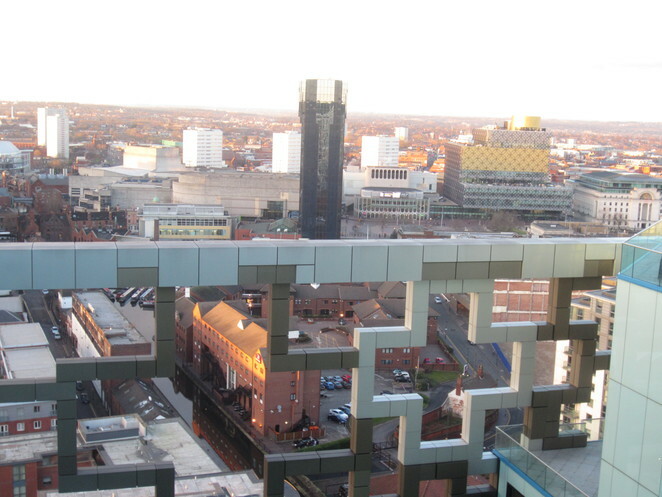 Your love may make you feel sky high and so will a date to a champagne bar offering some of the best views of Birmingham's skyline. The Champagne Bar at Marco Pierre White's Steakhouse, in the Cube, has a prime location for breathtaking views of Birmingham - night and day. You can only reach the bar on the 25th floor of The Cube by lift from the lobby of Hotel Indigo. Once inside, there is the Marco Pierre restaurant ahead and the champagne bar to the right, which is a glass enclosed corner of style. You can see the views in the video below. The champagne bar is closed on Mondays and Tuesdays but open Wednesday to Friday from 6pm til late, Saturday 1pm til late and Sunday midday to 6pm. Shakespeare's quotes on love would fill pages alone, so why not head to the poet and playwright's home town of Stratford upon Avon to see his work brought to life by the best. 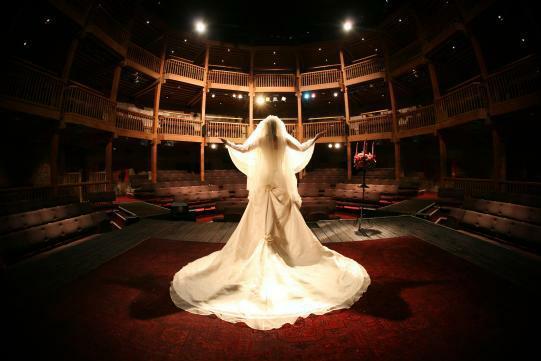 The Royal Shakespeare Company (RSC) has its base in Stratford upon Avon and productions take place throughout the year at the Royal Shakespeare Theatre. No-one in the world does Shakespeare like the RSC and with Stratford only a 40 minute drive or train journey from Birmingham, you would be mad to miss out on seeing a performance. Some of Britain's finest actors from David Tennant to Judi Dench and Toby Stephens have performed here. There's even a special summer festival of Midsummer Mischief shows taking place at The Other Place until July 12. Special offers mean that tickets are now available from just £5. Along with the theatre, there is also the wonderful Avon River to walk alongside, take a boat ride on or sit kissing on the grass. Tickets are available on 0844 800 1110 from Monday to Saturday, 10am-6pm or through the RSC website. Birmingham is overflowing with culinary delights - whatever the budget. 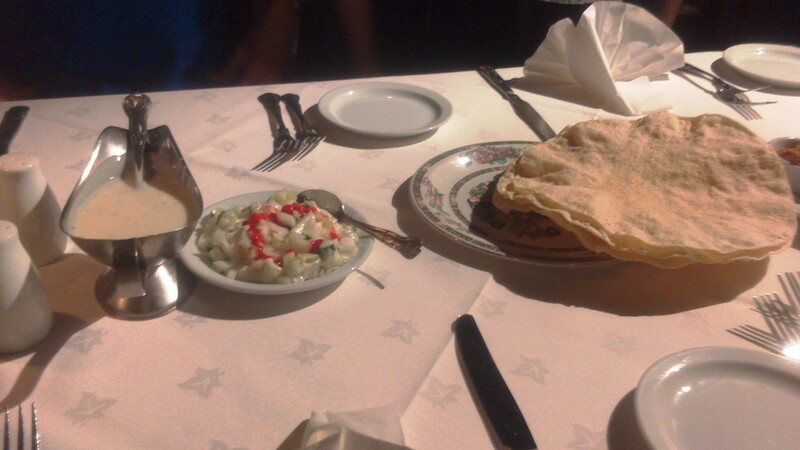 You can nibble on a naan bread while uttering sweet, spicy nothings in the Balti Triangle - after all, Birmingham did invent the Balti. The Balti Triangle features endless curry houses in Sparkhill, Balsall Heath and Moseley, near the Moseley Road and Stratford Road. For a slightly higher budget, there is the mid-market range of restaurants at The Mailbox, which have a charming setting around the canal basin in the centre of the city. There's also a young, vibrant atmosphere with bars close-by. Birmingham now has a good range of eateries offering foods from around the world. Bodega, off New Street on Bennetts Hill, is popular for South American street food with a lively atmosphere, while Turtle Bay is a Caribbean restaurant in John Bright Street. At the top end are the Michelin star fine dining establishments that are putting Birmingham on the gastronomy map. 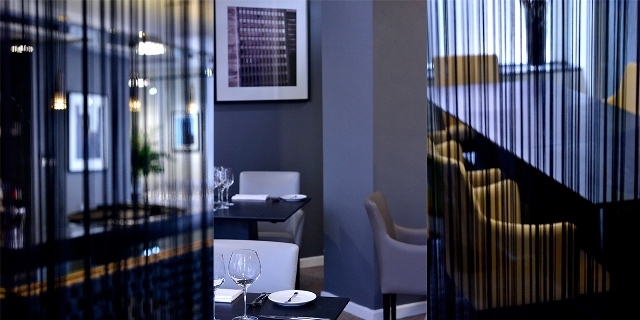 Chef Glynn Purnell is leading the way and his Michelin-star restaurant Purnells, in 55 Cornwall Street, in the city centre, is booked up months in advance. Purnell became a household name after appearing in BBC2 show The Great British Menu, showing off creations such as an egg custard based dessert inside an egg shell, and spiced fish. The most expensive option is a tasting menu, where you get to sample the best Purnell has to offer. Small portions but a multitude of dishes. This is £85 per person and must be chosen by the whole table. You can get a good option if you go earlier in the day. For example, the Spring Lunch menu is priced at £32 for 3 courses or £42 for 5 courses, and they have similar specials throughout the year. But here's a little secret - if you can't get in or afford Purnell's flagship restaurant, he has opened Ginger's Bar and bistro around the corner in Newhall Street. It does a wide range of cocktails and has more of a brasserie feel while still maintaining high quality food with that extra special touch of Purnell. It's top end pub-style food, like a duck scotch egg or zingy bread and butter pudding in extremely stylish surroundings. There's no building more iconic in Birmingham than the Rotunda. It makes the city stand out from the skies as well as the ground. So what better way to make a memorable night of your romantic encounter than spending it in a luxury room in the Rotunda itself. The video below shows that the rooms are like. Fully serviced apartments are rented out for one night and more at the top of the landmark building by Staying Cool. Prices start from around £150 for two people. If you're really pushing out the boat, there's the penthouse with its own balcony terrace, but all the rooms have been decked out in style and have huge windows to view the city. Birmingham may be the furthest city from the sea but it doesn't mean you can't go for a paddle. Leafy Cannon Hill Park in Edgbaston has a boating lake where you can rent pedalo boats and wile away the afternoon in the summer. 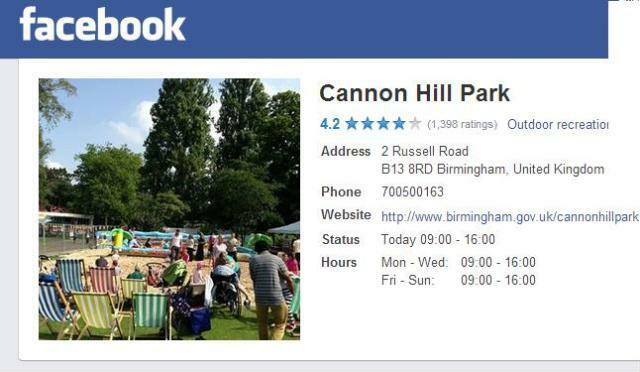 Cannon Hill Park is a particularly lovely place to wander round and go for a picnic and was even awarded Green Flag status, meaning it's one of the best green spaces in the UK. The park also has five tennis courts, a bowling green and a mini-golf course all located in the central area between the Midland Arts Centre and the Russell Road car park. If you are keen to go boating, boats are also available to rent along the Avon River at Stratford upon Avon town centre. Mix up your passions and break the ice with a concoction of spirits for a barrel of fun as you make cocktails together. Various bars across Birmingham offer cocktail-making sessions. 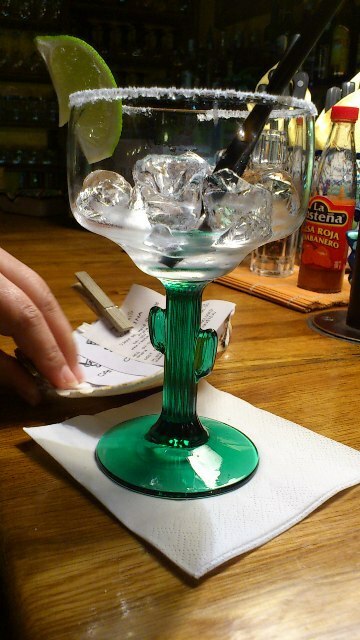 You not only get to shake your thing while finding out how to make the perfect margarita, but you also get to sip the drinks that you have made. The Vaults Bar in the Jewellery Quarter is famous for its cocktails and has a stunning location underground, literally in the vaults of the building. There are various Cocktail School Packages on offer. The basic two hour class costs £35 per person or £45 per person with some tapas snacks. You can add on a meal from the restaurant; the lesson with a 2 course meal from the set menu is priced at £60 per person, while 3 courses plus the lesson cost £65 per person. To end your perfect night, could there be anything more dazzling than looking up at the stars and the moon? Astronomy groups meet across the city and can show you how to find Venus, Jupiter and even the Milky Way through high-powered telescopes or where to look in the sky for an evening of star-gazing. Groups that can help you our in the Midlands include Bromsgrove Astronomical Society or Birmingham Astronomical Society. But if you want to find a good spot to sit under the stars yourself, check out the light pollution map below for around Birmingham, and head to the areas that aren't red.